Silversea Cruises has opened pre-sale bookings to Venetian Society members for 191 new voyages, which will set sail between summer 2020 and winter 2021. Incorporating the launch of the Silver Moon, the new itineraries will take guests to 572 destinations in 84 countries in all seven continents. While the pre-sale will enable past guests to make reservations before all others, bookings for the new itineraries will open to the general public on Oct. 1, 2018. Silversea stated that a highlight will be the maiden voyage of the Silver Moon sailing an 11-day cruise from Trieste to Civitavecchia. 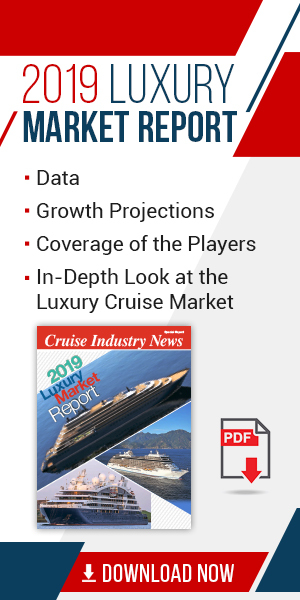 One of five Silversea ships in the Mediterranean in the summer of 2020, she will cruise in the region for her maiden season, until November, when she will cross the Atlantic to Fort Lauderdale. Silversea will also have four ships and offer 29 voyages in Northern Europe; three ships and 21 voyages in Alaska and the Russian Far East; and two ships and 10 voyages in the Arctic. According to the cruise line, guests will enjoy more overnights than ever before. Polar sailings comprise 10 itineraries and 83 destinations in the Arctic and 11 itineraries and 26 destinations in Antarctica, including East Antarctica and the Ross Sea. Voyages to New Zealand’s sub-Antarctic islands and Australia’s Macquarie Island (all UNESCO World Heritage Sites) will enable guests to view colonies of penguins and seals; visits to Churchill and Hudson Bay in Manitoba, Canada, promise to take guests to the ‘polar bear capital of the world’ and the home of world’s largest beluga whale population. There will also be concurrent crossings of both the Northwest and Northeast Passages on tghe Silver Cloud and Silver Explorer. Maiden calls will include El Hierro, Spain; Fishguard, Wales; Nordfjordeid, Norway; Siglufjörður, Iceland; Durres, Albania; Klaksvik, Faroe Islands; and Patreksfjordur, Iceland. Also, according to Silversea, for the first time, it is offering free economy-class air and transfers included as standard on all newly released voyages.